Your computer might come with one or two terabyte of hard disk capacity. It looks like a lot of space at first, but soon you will realize that even the largest hard disk capacity available today is not enough for you. How is that possible? Computer today is more than just a working device. People use it more for social activity and entertainment than for doing a real job. Not really surprising that within a year or two, most part of your hard disk is already populated by a large number of photos, videos, music, applications, and games collections. So now you find out that your hard disk drive is almost full and wish to clean it up quickly. 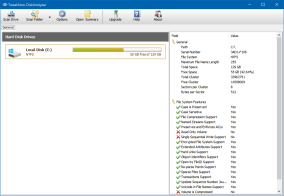 The easiest and quickest way is by simply moving several big files to an external drive. Of course, it will only be easy if you know in which folders those big files are stored. But the problem is not all people are keen enough to keep all of their files organized. Most people tend to store files in some random folders and that make finding files location would be a tiresome task and time consuming. 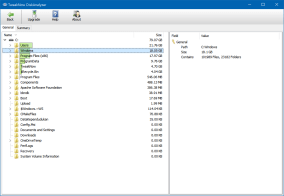 This is where a disk usage analyzer application can be very helpful. Applications in this category are designed to analyze hard disk to find out how hard disk space is being used by files and folders. Introducing our new application called: TweakNow DiskAnalyzer. 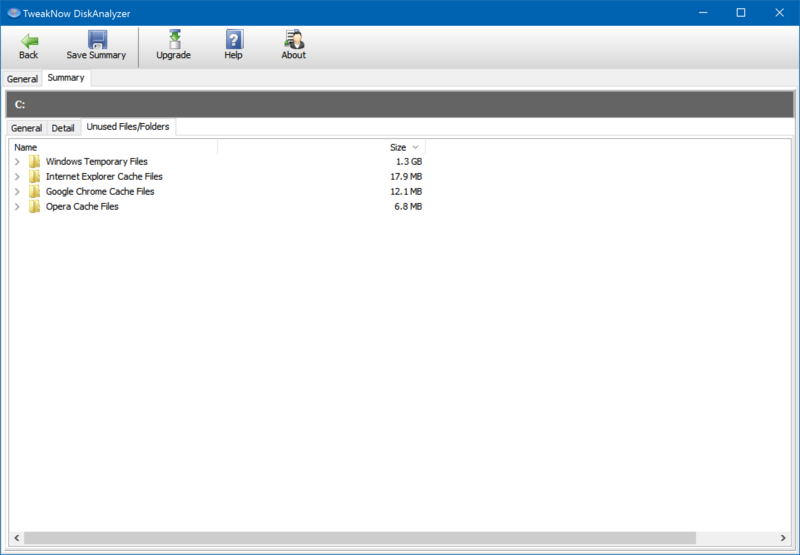 This application is a free, simple, but more than competent for analyzing files and folders structure on the hard disk. We try to make TweakNow DiskAnalyzer's user interface as simple as possible, so user can use the program right away without reading the documentation first. 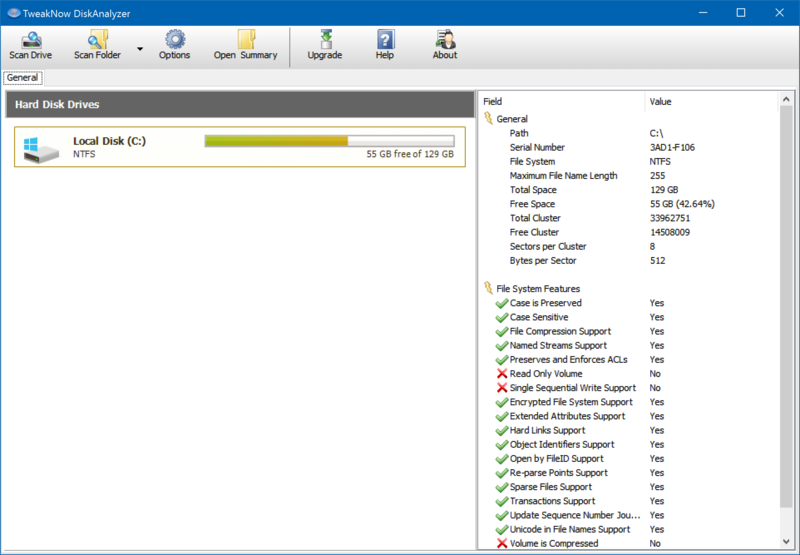 To start analyzing your hard disk drive, simply select the drive from the menu and click on Scan Drive button. 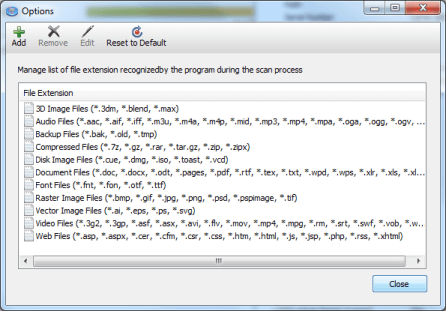 You can also limit the analyzing process to certain folder only. 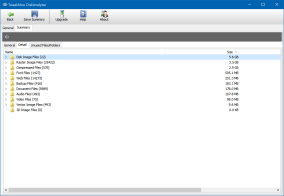 Click on the Scan Folder button to choose folder to analyze or open the drop down menu to quickly analyze common folder, such as: Documents, Music, Pictures, or Video folder. The scan process may take about 5-15 minutes to complete. The time needed to complete the scan process will be very depends on number of files and folder in your hard disk drive. We do not try to impress our users with a beautiful but hard to understand report page. Instead, we try to make the report page as effective as possible to help user finding what their looking for quickly. 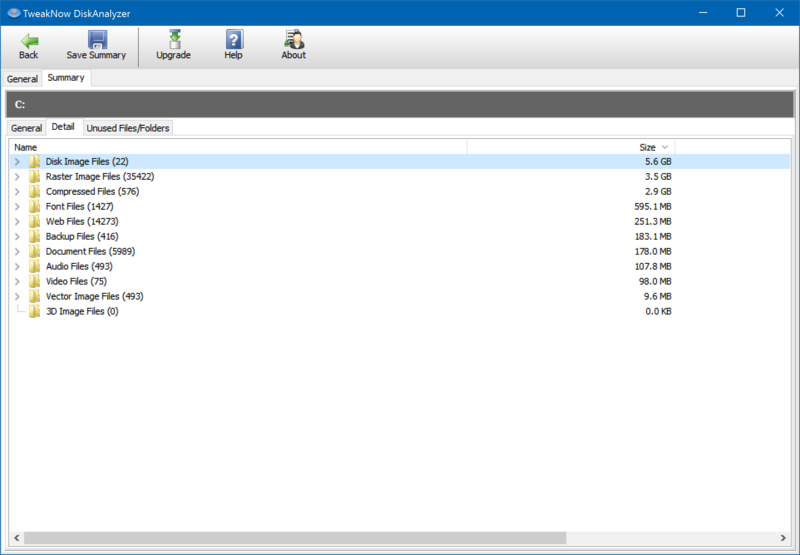 The amount of space used by each folder visualize in a tree view with a simple bar graph. Not really appealing visually, but effective to spot which folders who use the most part of hard disk drive space quickly. 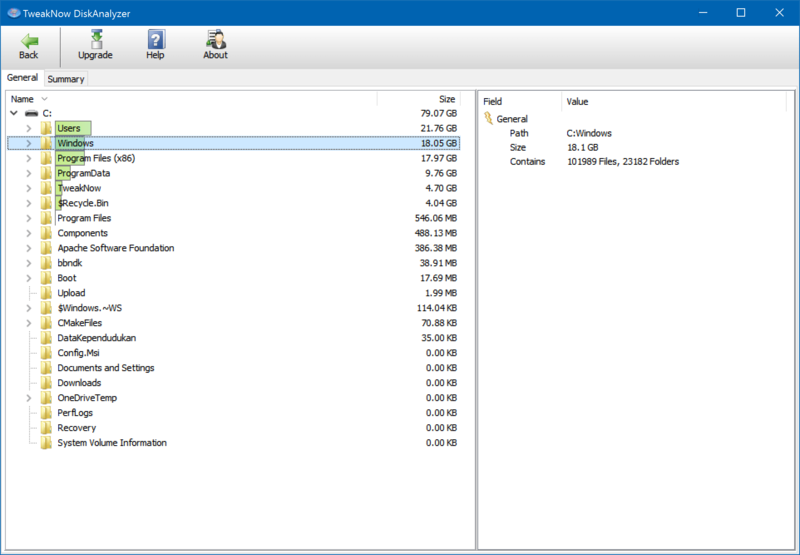 The program also provides list of common files found during the analyzing process. 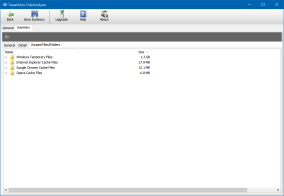 The files grouped based on its type and sorted by its size. 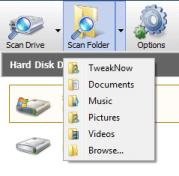 The list of common files recognized by TweakNow DiskAnalyzer can be edited through the Options page. Added support for Windows 8.1. 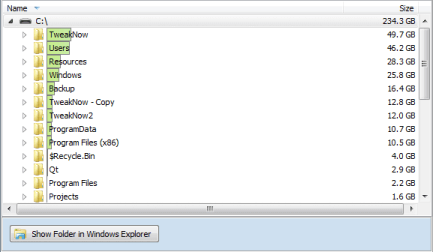 Added 20 biggest file list section in he summary window. Now the scan summary result can be saved to a file.